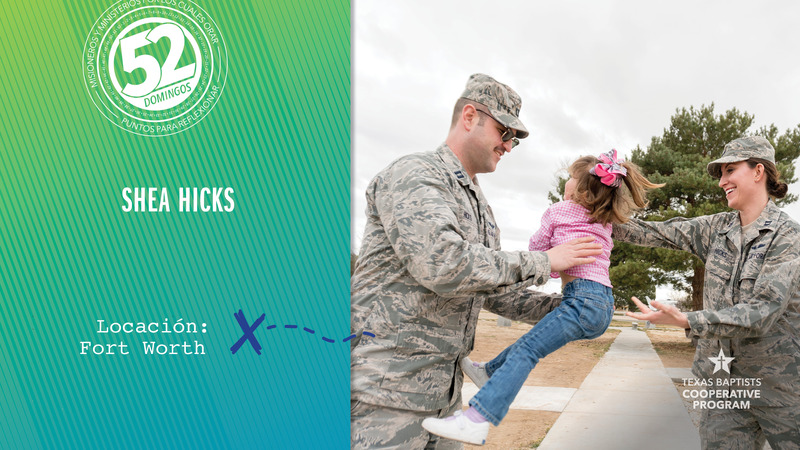 Shea Hicks serves in the U.S. Air Force, stationed in Idaho as an air battle manager. She is well-trained to meet the challenge of protecting our country. But she is also training to meet the challenge of deepening and sharing her faith. She is studying for a master’s degree from Southwestern Baptist Theological Seminary in Fort Worth, Texas. Her seminary studies have become not just a conversation starter, but an evangelism tool as well. She has found that people tend to respond to someone who is kind and willing to listen to their difficult questions. Then, she can point them to answers in Scripture. Our church supports seminary students like Shea by giving through to the Cooperative Program. Students at Southwestern and other seminaries across the U.S. have much lower tuition because those schools receive funds from churches like ours. Today let’s pray for God to protect and bless Shea’s service both to our country and Christ in the mission field with our military. Let’s ask her work and her ministry!